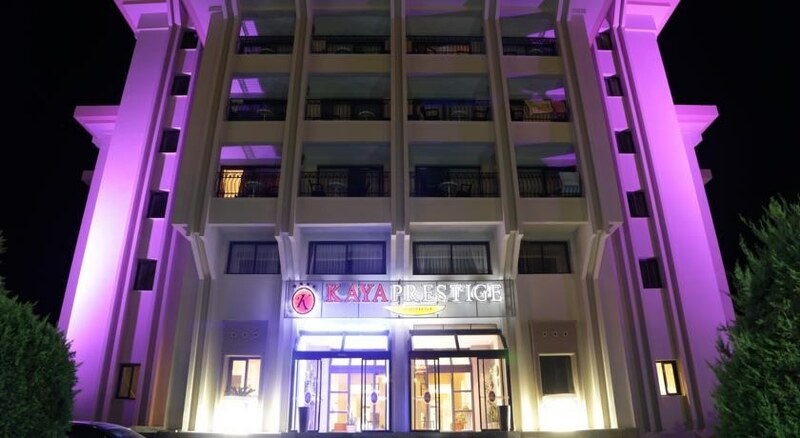 The Kaya Prestige sunshine is popular with the local market, the hotel as an imposing appearance, standing 6 floors high with only holiday homes around it. 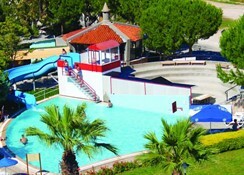 Cesme town centre is 21 km away and Izmir Adnan Menderes Airport is 85 km from Kaya Prestige Sunshine. The hotel Situated along the Aegean Sea with its private beach area, this hotel features an outdoor pool, Turkish bath and a sauna. 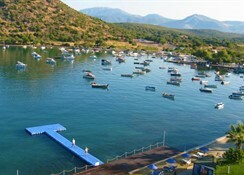 Free Wi-Fi is accessible throughout the venue and the restaurant has panoramic sea views. Each room at Kaya Prestige sunshine have air conditioning, a TV and floor-to-ceiling sliding windows that open to a balcony or patio. Private bathroom includes a bath and a hairdryer. 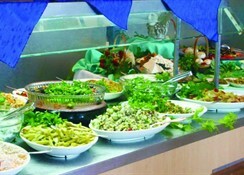 The restaurant offers both indoor and outdoor seating options, and serves a wide range of dishes. 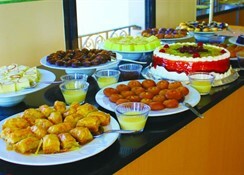 Alcoholic and non-alcoholic drinks can be ordered from the bar. Guests can work out at the fitness centre and relax in the massage room. A childrenâ? 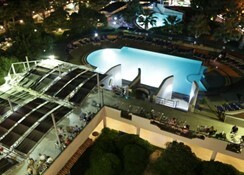 ?s playground, 24-hour front desk and laundry service are available. Please Note: It is not allowed to get food and beverages to rooms, Or by charge it is possible.